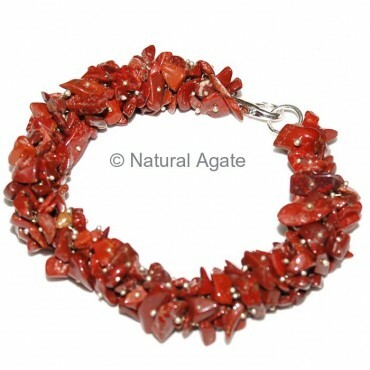 The color of Red Jasper Hand Made Chips Bracelet demands your attention. It is style and elegance in one bracelet. Avail this handmade bracelet from Natural Agate.